A Remake In The Works For THE EXORCIST? 1973's amazing release of the Horror film THE EXORCIST made quite the impact on the world by shocking many people and pushing the boundaries of religion in Horror. For many the film is held as the scariest movie of all time. What if this sacred story were to be remade? As of today it looks as if that could be very possible. In an article from Deadline about the company Morgan Creek, it is revealed that they are selling the domestic rights to their film library which consists of 78 films. Morgan Creek will retain remake rights for five of the titles, one of which is THE EXORCIST. Other titles mentioned were ACE VENTURA, MAJOR LEAGUE and TRUE ROMANCE. "Ideas are being tossed around" for a remake of THE EXORCIST, MAJOR LEAGUE and ACE VENTURA. 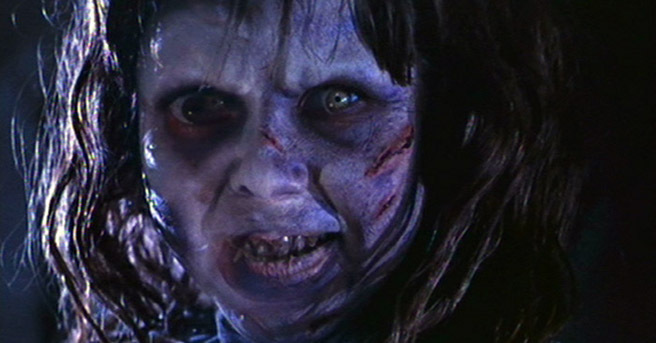 A plan to remake THE EXORCIST would surely cause some major waves within the Horror community. For the record, there is No EXORCIST remake which has been announced as of yet but anything is possible. We will continue to bring you more on this story as we hear it.